Encompassing almost 3,500 square miles of wilderness over Wyoming, Montana, and Idaho, Yellowstone National Park holds the honor of being the world's first national park. There is no shortage of things to see and do here; highlights include marveling at the dramatic geysers, relaxing in the natural hot springs, and trying to spot the bison, bears, and other animals that call the park their home. There's no question that a visit to Yellowstone is worth your time, so whether you're looking for a comfortable hotel with plenty of amenities or rustic accommodation nestled inside the park itself, here are the best accommodation options in the area. Tucked away in the northern end of the park, the Mammoth Hot Springs Hotel is the only accommodation in the park that can be accessed by car while there's snow on the ground. It's the perfect place to base yourself if you're interested in exploring the park during the winter, and it's also ideal if you'd like to enjoy the hot springs, which are only a 10-minute walk away. There are several different types of accommodation to choose from, including suites with separate sitting areas, hotel rooms with and without private bathrooms, and cabins with private hot tubs. 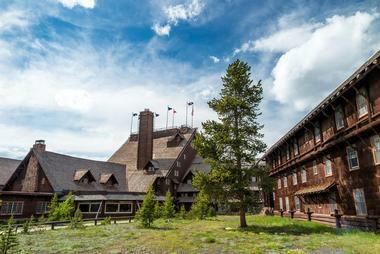 Housed inside a log and stone building constructed in 1903, the Old Faithful Inn is the park's most popular accommodation option. The hotel is open between the beginning of May and the beginning of October, and it offers more than 300 rooms. Some rooms feature views of the geyser, and guests can choose between traditional hotel-style rooms, basic rooms with shared bathrooms, and suites with separate living areas. The beautiful hotel lobby is a popular place to relax as well; it boasts a large stone fireplace and guests can come here to enjoy live music during the evening. The Roosevelt Lodge received its name because of its location near a campsite used by President Theodore Roosevelt, and it offers simple cabins surrounded by breathtaking scenery. Two different types of cabin are available; the more rustic cabins have wood burning stoves and shared bathrooms, while the newer cabins have private full bathrooms. All guests have access to a large porch with rocking chairs perfect for sitting and admiring the views, and other possible activities at the lodge include horseback or stagecoach rides through the surrounding area and unique Old West-style cookouts on the beautiful lodge property. 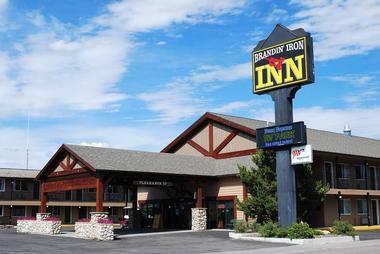 With its friendly service and Western atmosphere, the Brandin' Iron Inn is an obvious choice for anyone who wants to get the true Montana experience. Pine furniture can be found in all the rooms, and other in-room amenities include Wi-Fi, mini fridges, and flat screen TVs. When not in their rooms, guests can relax by the lobby fireplace, use the complimentary computer station, or take a dip in one of the two on-site hot tubs. 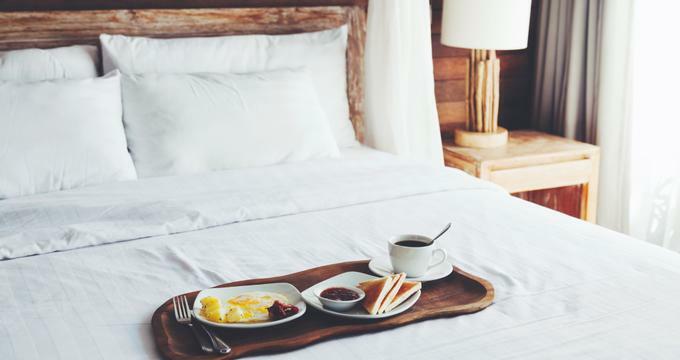 A complimentary hot breakfast is included in the room rate, and free coffee is available in the lobby all day long. Open between mid-May and mid-September, the Bridge Bay Campground is located very close to the Bridge Bay Marina on Yellowstone Lake. There are more than 400 sites for visitors to choose from, including both tent sites and RV sites. None of the sites offer hookups, but all guests have access to water and washrooms with flush toilets. Showers and laundry facilities are available at a nearby RV park. Because of its proximity to the lake, the campground is especially popular with fishing and boating enthusiasts, and boats can be rented from or docked at the nearby Bridge Bay Marina. Named for its closeness to the Grand Canyon of the Yellowstone, Canyon Campground offers approximately 270 peaceful wooded campsites and easy access to many of the park's most popular attractions. All campers have access to cold running water, dishwashing stations, and flush toilets. Pay showers and coin-operated laundry machines can be found on-site as well, and campsite fees include two showers per day. The campground is open between the last week of May and the last week of September, and each campsite can accommodate a maximum of six people. 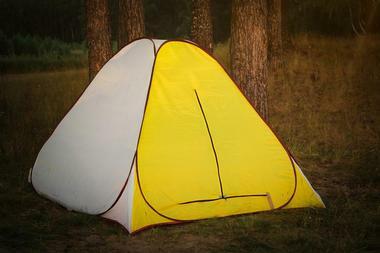 Both tent and RV options are available. Boasting five beautiful LEED-certified buildings, Canyon Lodge offers more than 500 rooms and cabins on the east side of the park. The Western-style rooms are basic but comfortable; none offer TVs or air conditioning, but some are equipped with coffee makers, mini fridges, and separate sitting areas. Guests are welcome to eat at the on-site restaurant, cafeteria, or deli. The same building that holds the restaurant also offers a gift shop and Wi-Fi that can be used for a small fee. 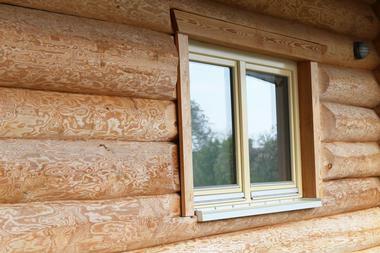 The lodge is open between the beginning of June and the beginning of October. Activities can be booked at the front desk. Another hotel located right next to the west entrance of the park, the ClubHouse Inn West Yellowstone provides comfortable accommodation at an affordable price. The rooms are decorated in a Western style with leather furniture and carved wooden lamps, and all come with pillowtop mattresses, flat screen TVs, and kitchenettes with mini fridges and microwaves. A continental breakfast is included in the room rate, and other complimentary amenities include an indoor pool, a hot tub, and an on-site fitness center. 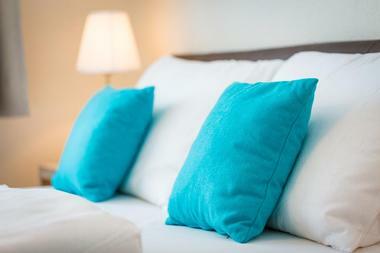 Free Wi-Fi is available in all rooms, and on-site parking is offered to guests free of charge. The Fishing Bridge RV Park offers almost 350 campsites, but because of its location in bear country, it only permits RVs and other hard-sided recreational vehicles. All sites come with full hookups for water, electricity, and sewer, and a dump station can be found near the entrance. Coin-operated laundry machines and pay showers are available on-site, and the nightly campsite rate includes two showers. The bridge in the campground used to be a popular fishing location, but fishing here is no longer permitted. However, it's still a popular place for visitors to gather and watch the trout that swim in the river below. Constructed in 1984, Grant Village Lodging offers 300 rooms spread out across a complex with six two-story accommodation buildings. Two different types of room are available; premium rooms offer coffee makers, mini fridges, and tables and chairs, while the accessible first-floor rooms are equipped with accessible toilets and showers. None of the rooms have TVs or air conditioning, but the lodge's excellent location near Yellowstone Lake means that many of the park's biggest attractions are within easy driving distance. When not in their rooms or exploring the park, guests can enjoy a meal at one of the two on-site restaurants or browse the gift store. Set in a beautiful pine forest, the Grant Village Campground offers over 400 regular campsites as well as eight group campsites. All sites are equipped with picnic tables and fire pits, and firewood can be purchased on-site. Campers will also have access to amenities like flush toilets, running water, dishwashing stations, and pay showers. There are no hookups for RVs, but the campground does offer a dump station that is open when the weather is warm enough. Grant Village is located only a mile or so from the campground, and it offers a selection of restaurants, shops, and other amenities. 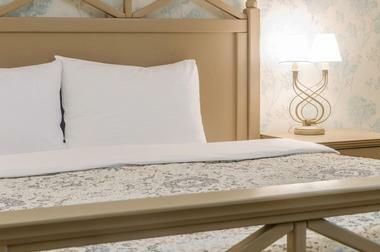 Right across the street from the Grizzly & Wolf Discovery Center, the Gray Wolf Inn & Suites is a laid-back hotel with an excellent selection of recently renovated rooms and suites. A complimentary continental breakfast is offered every morning, and free Wi-Fi is available all throughout the hotel. All of the rooms come with flat screen TVs and kitchenettes with microwaves, mini fridges, and coffee machines. Some also offer separate living rooms or sitting areas and full kitchens. The hotel hot tub and sauna are perfect for chilly days, and guests will also enjoy the heated underground parking, which is provided free of charge. 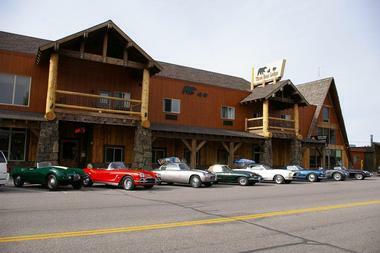 Featuring an easily recognizable exterior decorated with carved wooden animals, the Kelly Inn-West Yellowstone is closer to the west entrance of the park than any other hotel. The rooms and suites are furnished with rustic pine furniture and Western decor, but they also offer modern amenities like flat screen TVs and free Wi-Fi. A complimentary breakfast is available every morning, and hot coffee is available all day in the lobby. There are also plenty of amenities you can use, including an indoor pool with a hot tub and sauna, a patio with a gas fire pit, and a picnic area with a charcoal grill. Situated in the park near the west thumb of Yellowstone Lake, the Lake Lodge offers more than 180 rustic cabins tucked away behind a beautiful log lodge. Some of the cabins date back to the 1920s, but all have been recently renovated and updated to include comfortable beds and private, modern bathrooms. Wi-Fi is not available in the rooms, but it can be purchased in the cafeteria. Guests are also free to relax in the main lodge, which offers a cozy lounge, two fireplaces, a souvenir shop, and a large porch with stunning views of the lake. Originally built in 1891, Lake Yellowstone Hotel & Cabins is the park's oldest operating accommodation option. The elegant yellow colonial-style building features white columns and three porches overlooking the lake. 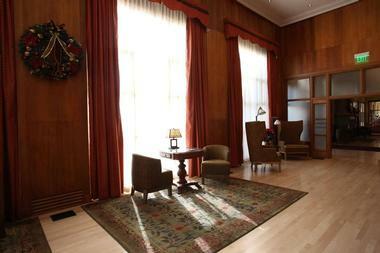 Other highlights include a gorgeous sunroom with large windows and an elegant lobby that often hosts a string quartet. 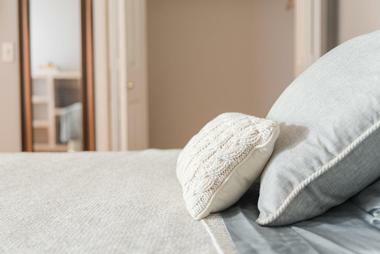 A large selection of rooms and suites are available. All are equipped with coffee makers and full bathrooms, and some also offer large soaker tubs, a complimentary valet service, and wired internet access. Other hotel amenities include a business center, two restaurants, and a gift shop. Sitting at an elevation of 6,800 feet, the peaceful Madison Campground was named after the nearby Madison River. The campground can accommodate both RVs and tents. 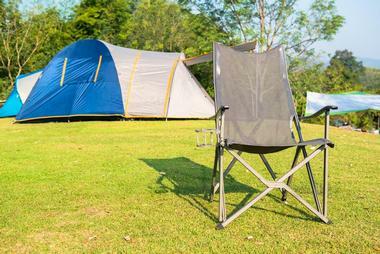 There are over 270 campsites to choose from, with both sunny and shady options available. None of the campsites offer electric, water, or sewage hookups, but all are equipped with a picnic table and a fire pit. Running water and flush toilets are available in the public restroom buildings, but there are no showers on-site. The campground is open between the end of May and the middle of October. Only a 10-minute walk away from the park's best-known geyser, Old Faithful Snow Lodge & Cabins is nestled in the heart of the park. The lodge is open between mid-December and early March for the winter season and between early May and mid-October for the summer season. During the winter, it can only be accessed by snowmobiles and by special oversnow vehicles known as snowcoaches. Both lodge rooms and cabins are available, and all come with full bathrooms. 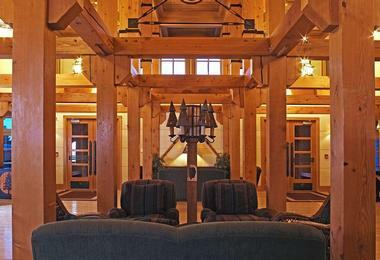 Guests are also encouraged to relax by the fireplace in the cozy lobby or enjoy a meal at the on-site restaurant. Offering straightforward rooms with rustic Western decor, the Stage Coach Inn is only a few blocks away from the west entrance of the park. 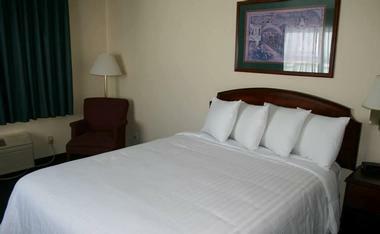 Unlike the accommodation options in the park, the hotel offers complimentary Wi-Fi and flat screen TVs in all the rooms. 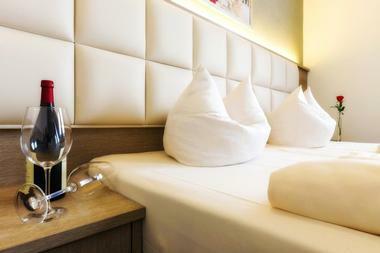 All rooms are also equipped with coffee machines, and some come with microwaves and mini fridges as well. Free coffee is available all day long in the cozy lobby, which features a stone fireplace and a unique wildlife display that introduces visitors to many of the animals found in the area. A complimentary continental breakfast is served every morning. Built out of timber and stone, the Three Bear Lodge is a rustic, eco-friendly accommodation option with rooms, suites, and a separate building with drive-up motel-style rooms. The rooms feature unique furniture made from reclaimed, and in-room amenities include flat screen TVs, complimentary Wi-Fi, and small kitchenettes with microwaves and mini fridges. There are also plenty of communal amenities for guests to enjoy, including a pool and hot tub, a movie theater, a fitness center, a restaurant, and a rock climbing-themed playground for the young and the young at heart. With approximately 80 rooms spread out over three floors, the Yellowstone Lodge is a great choice for visitors who want to be within walking distance of the park's west entrance. Several different types of rooms and suites can be found in the hotel. All come with flat screen TVs, microwaves, and mini fridges, and the suites offer extra beds and wet bars or extra vanities. A complimentary continental breakfast is served in the lobby every morning, and free Wi-Fi is available all throughout the hotel. 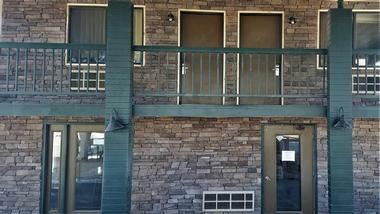 Other amenities include a heated pool, a hot tub, and a laundry room with coin-operated machines. 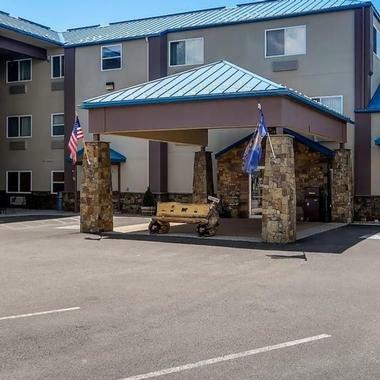 Proudly locally owned and operated, the Yellowstone West Gate Hotel is a clean, comfortable hotel that also offers assistance with booking tours and activities in the area. The rooms come with satellite TV and small kitchenettes, and some also have separate living areas or full kitchens. A daily hot breakfast is included in the room rate, and free on-site parking is available for vehicles of almost every size. Cold weather hookups are available for RVs. Other amenities include a business center, a heated indoor pool and hot tub, and a guest laundry room with coin-operated machines. 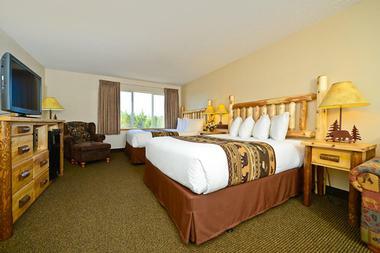 Perfect for guests who want both comfortable amenities and easy access to the most popular attractions in the park, the Yellowstone Park Hotel offers rooms with complimentary Wi-Fi and flat screen TVs. Some rooms boast fireplaces, whirlpool tubs, or separate sitting areas, and most have kitchenettes with microwaves, mini fridges, and coffee makers. 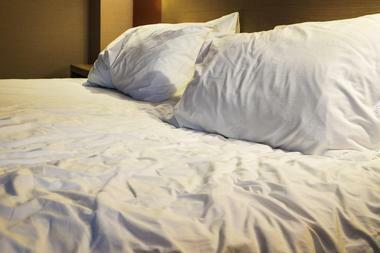 Other hotel amenities include a heated indoor pool, a hot tub, a fitness center, and complimentary parking. 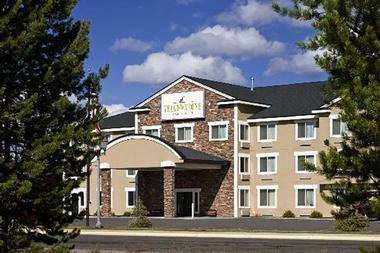 The hotel is within walking distance of many of the restaurants and shops in West Yellowstone, and a complimentary continental breakfast is available every morning. Found right next to the park's west entrance, Al's Westward Ho Motel has been family owned and operated for four generations. The rooms are simple but clean and spacious, and guests can choose between single rooms and family-style suites with two bedrooms and convenient kitchenettes. The motel is only open between the middle of May and the middle of October. Complimentary on-site parking is available, and while there is no restaurant on-site, there are plenty of great restaurants are within easy walking distance. Visitors can also walk or cycle to Madison River, which you can access via trails that begin right next to the motel. Offering comfortable rooms and plenty of amenities, the Best Western Desert Inn is only two blocks away from the park's west entrance. The spacious rooms are equipped with microwaves, flat screen TVs with HD channels, and mini fridges; some rooms also have pull-out sofas to accommodate larger groups of guests. A free hot breakfast buffet is offered every morning, and complimentary Wi-Fi is provided in all public areas of the hotel. Other complimentary amenities include an indoor heated pool, on-site parking, a computer station, and an airport shuttle. Laundry service is available for a surcharge. Conveniently located within easy driving distance of Old Faithful, the Best Western Weston Inn is a comfortable hotel with well-equipped rooms and suites. Plenty of restaurants and shops can be found nearby, and all rooms all come with free Wi-Fi, flat screen TVs with cable, and kitchenettes with mini fridges, microwaves, and coffee machines. There is also a suite that is perfect for families, as it features a full kitchen and multiple rooms. Guests are welcome to make use of the outdoor pool, hot tub, and fitness center, and a complimentary continental breakfast is available every morning.